Gala Yuzawa | Gala Yuzawa | Ecosign Mountain Resort Planners Ltd. 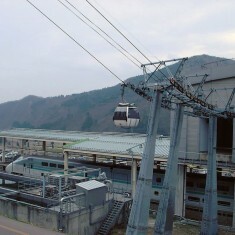 In 1998, Ecosign was responsible for the preparation of the master plan for the Gala Yuzawa ski area in Niigata, Japan. 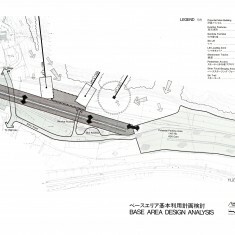 This work involved the conceptual design for a new ski area base lodge, which would be integrated with a railway spur of the Joetsu Shinkansen (bullet train). The train is capable of delivering 6,000 persons per hour into the base lodge from Tokyo, a distance of 200 kilometers in less than 70 minutes. Passengers are able to disembark from the train directly into the base daylodge and then board an eight passenger gondola which transports them to a mid mountain ski center which provides the base of operations for the ski area. 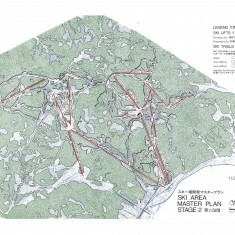 A further component of the plan is the inter-connection of the Gala Yuzawa site with the existing Ishiuchi Maruyana, Yuzawa Kogen and NASPA ski areas to form a large ski circus capable of accommodating over 35,000 skiers per day.